Are you ready for a fun night out? Are you looking for a great way to spend time or celebrate with family and friends? We have the answer! 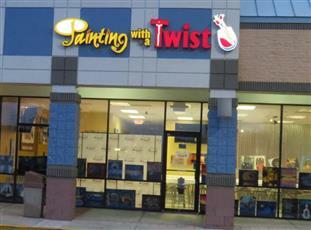 Painting with a Twist is a fun, entertaining art studio conveniently located at the corner of Curry Ford Rd and Chickasaw Trail. We are minutes away from Waterford Lakes, Avalon Park, Union Park, Azalea Park, Vista Lakes and Lake Nona. 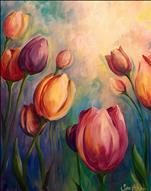 Discover your inner artist.... We provide your paint, canvas and brushes, and lots of encouragement! You walk away with your own masterpiece! No art experience is needed. Simply be ready to have a "twisted" good time! Bring a friend, a snack and paint along with our local artists! View our calendar and click on the day and painting of your choice. Reserve and pay for your seat online or over the phone and we will take care of the rest!Two hour classes are offered for $35 and three hour classes for $45. Select Family Friendly classes offered for $25. 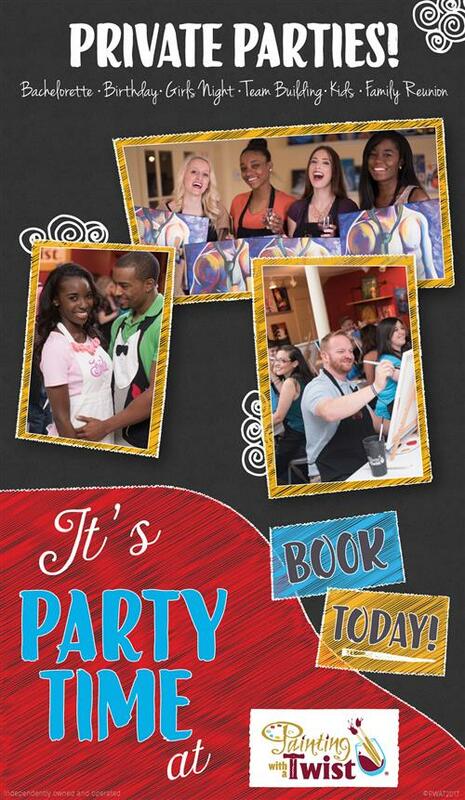 Private parties for company gatherings/team builders, adults or kids 13 and up are great for groups of 10 or more. Sorry we do not do private parties for children younger than 13. Follow us on Facebook at https://www.facebook.com/pwatorlandochickasawFL/ to hear about studio events, get sneak previews of new art and our monthly calendar, participate in promotions exclusive to Facebook fans, and more! A selection of Beer & Wine is available for purchase at all REGULAR EVENING classes. No BYOB. Must be 21 & up to consume alcohol onsite. FAMILY, TEEN and AFTERNOON classes are alcohol free. Soda, Juice & Water are available for purchase at all classes. OUR MAY CALENDAR IS LIVE! 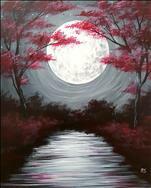 No matter what you're celebrating: May Day, Mother's Day, Teacher's Appreciation Week, Star Wars Day or just a night out, May is full of beautiful painting classes for all! Check out our calendar. We LOVE our UCF GRADS! Congratulations to all the new graduates from UCF this year! We're painting the UCF Knight on May 2nd to celebrate! (Don't worry, it's pre-sketched!) Current UCF students, new grads, and UCF alumni are welcome to join! Give Your Mom The Gift of ART This Year! 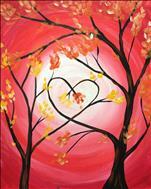 We love Moms here at Painting With A Twist! 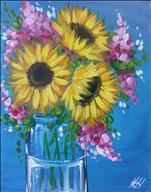 We have a great lineup of paintings for Mother's day week and weekend! Choose from beautiful florals or lovely landscape. Make your plans early as it's always a full house here at the Twist!